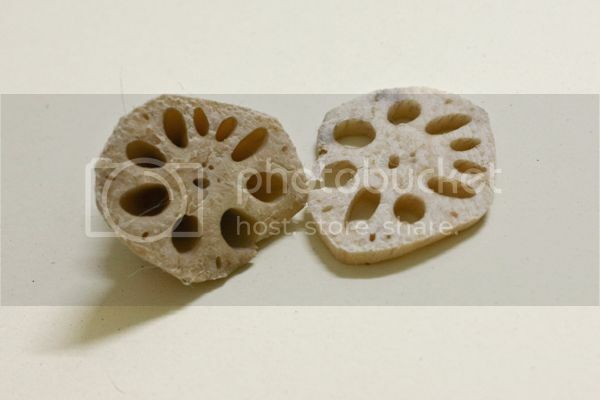 Here's a picture of lotus root that has been sliced. 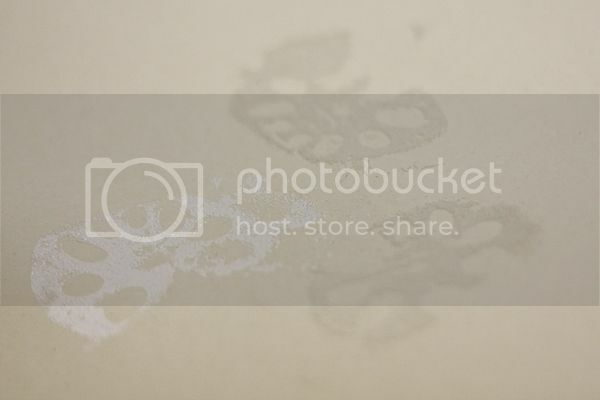 To start, use the lotus root & stamp it on the embossing ink pad. Next pour some embossing powder. 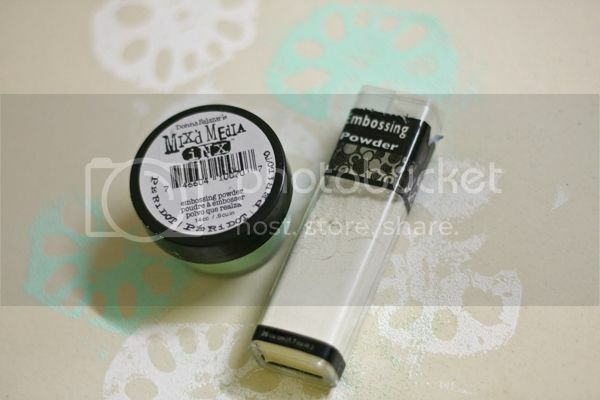 Use a heat gun to heat the embossed powder. 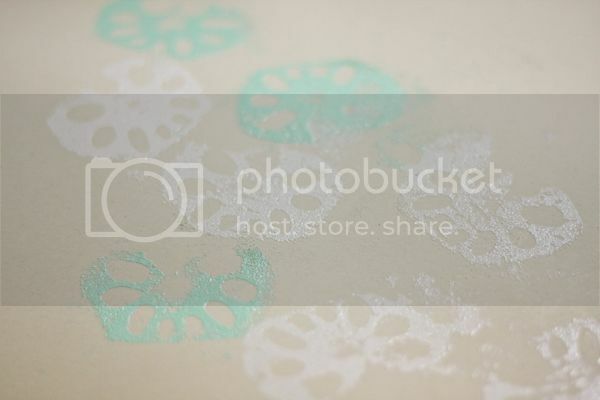 Once I am done with the white embossing powder, I tried on the Mix'd Media Ink embossing powder and I was so in awe! Here's the after effect, look at the colors... beautiful rite? 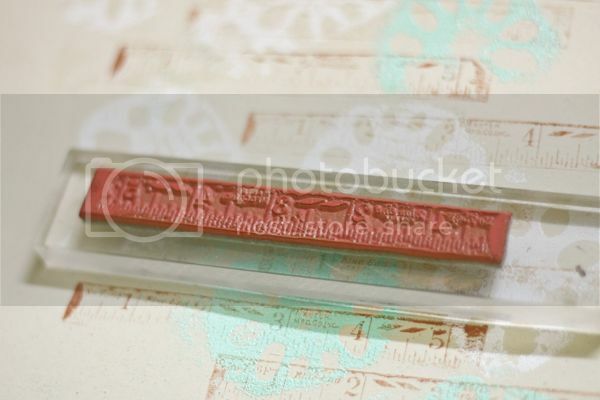 After that, I did some stamping using the ruler stamp. I have been struggling with my weight for a very long time. Last year I managed to loose some but guess what I have gained back by year end. Can I blame the yummy food during the festive season? Hehe. So this 2012, I am determine to work out. Get sweat. 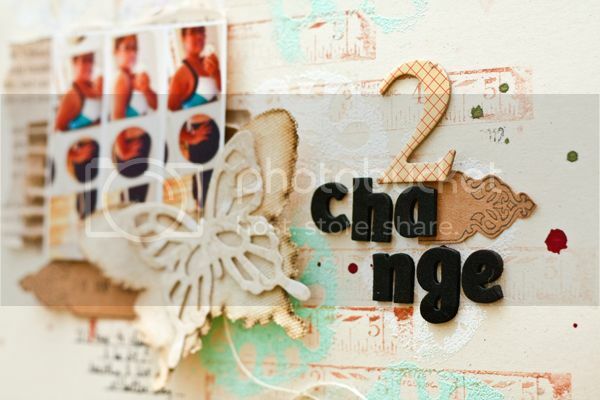 And my own little word for 2012 is definitely change. I have to change everything... the way I eat & live. I need to get fitter! Thanks for coming by again! That is so cool! Love the effect of your new stamps. Love the ruler stamp as well. Wow, I just adore this page, Jessy. 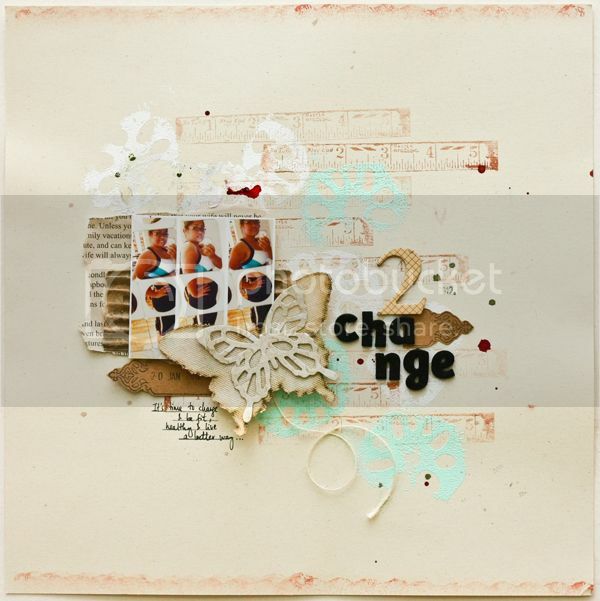 That mixed media embossing stuff looks so cool. 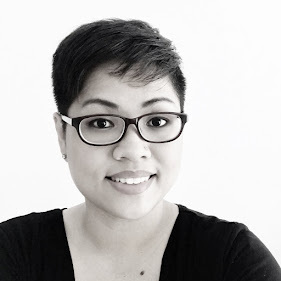 I love how your page is artsy and has such great techniques, but is not over the top. Best of luck with your goal for the year! 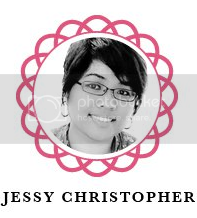 This is SO cool, Jessy! And SO beautiful! What a cool stamping idea! LOVE your page too! Fantastic job! So creative and it looks FAB! Very cool idea! Love how you created a background of your layout with it. 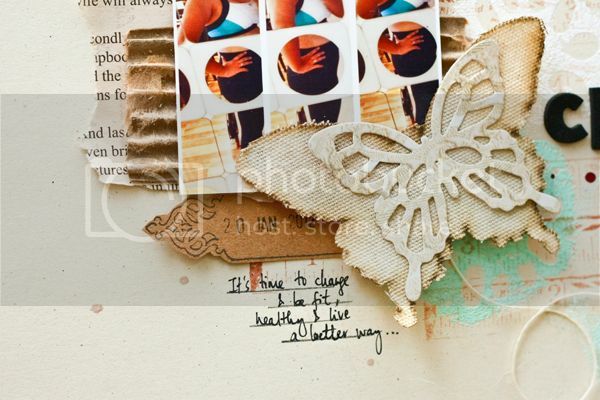 And the layout is gorgeous...I need to get in shape with you! 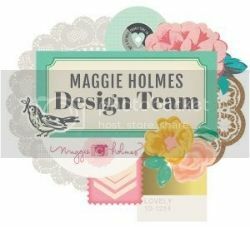 loved the stamping you did. love those stamps and awesome page...love it! Great stamping idea Jessy! And all the best with your goals, I know how you feel, I often struggle with trying to have a more 'healthy' and 'fit' lifestyle. Take care!